November 3, 2009 - The FAA rejected a bid to stop night flights at another California airport when Burbank Glendale Pasadena Airport Authority attempted to continue a nightly curfew from 10 p.m. to 6:59 a.m. at Bob Hope Airport, after it was granted a variance from the requirements of Section 5012 of the California Noise Standards in February 2008. 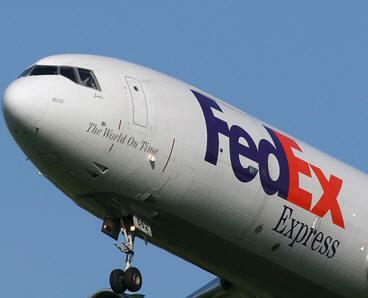 This curfew was opposed by FedEx and other air carriers, who claimed their business operations, were unduly affected, sought a ruling from the FAA under the Airport Noise and Capacity Act of 1990. When Congress passed the Airport Noise and Capacity Act of 1990 (ANCA), Congress found that aviation noise management is crucial to the continued increase in airport capacity. Further, Congress indicated ANCA was intended to address uncoordinated and inconsistent restrictions on aviation which could impede the national air transportation system. ANCA sets a very high bar. A curfew at an airport, when there are other mitigation options available, is the type of access restriction Congress intended ANCA to address. For decades, airport officials have shut down or restricted night flights at California airports in an effort to reduce night time noise from aircraft to surrounding communities. Burbank Glendale Pasadena Airport Authority may change this in federal courts. Burbank Glendale Pasadena Airport Authority indicated The Airport’s Noise Impact Area for the first quarter 2009, as defined by the Noise Standards, was 39.04 acres of incompatible land within the 65 dB contour, a 5.37% decrease from the previous quarter’s 44.41 acres. The Noise Impact Area at the time the Authority’s current variance was granted was 60.84 acres. Referring to a February 28, 2008 decision granting the Burbank-Glendale-Pasadena Airport Authority a variance from the requirements of Section 5012 of the California Noise Standards, Title 21 California Code of Regulations, §§ 5000 et seq., (“Noise Standards”). March 2008, the Authority had completed an acoustical treatment of 1554 residences. An additional 88 residences where in the construction phase of the program, 27 had been placed in modules and are awaiting a construction contract award, 57 where in the design phase and 22 where pending signing of the Residential Acoustical Treatment Program (“RATP”) participation agreement and funding. Notices were sent to operators for suspected noise violations, an increase of three from the fourth quarter 2008. In January the Authority awarded a contract in the amount of $986,000.00 to acoustically treat 30 residential units located in the communities surrounding the Airport. During the quarter Staff responded to 18 complaints from 15 callers. On February 2, 2009, as required by the Airport Noise and Capacity Act of 1990 (“ANCA”), submitted pursuant to 14 C.F.R. Part 161 its Part 161 Application to the FAA, seeking approval by the FAA of the imposition of a mandatory full nighttime curfew at the Airport between the hours of 10 p.m. through 6:59 a.m. Accompanying the Application, the Authority submitted documentation in support of a finding that the proposed full mandatory curfew in the Application qualifies for a “categorical exclusion” under the National Environmental Policy Act. On March 5, 2009, the FAA sent a letter to the Authority stating that the final Application meets all the requirements for a complete application set forth under FAR Part 161 except for two questions it had about discrepancies in the environmental analysis, and requested written information concerning the discrepancies. The FAA’s letter also stated that it wished to review data files used by the Authority’s consultants, Jacobs Consultancy, to perform analyses of the potential impact on the Ontario International Airport due to flights projected to be shifted there with a full nighttime curfew at the Airport. On March 9, 2009, the Airport Authority sent a letter to the FAA indicating that it would provide the data requested by the FAA and that it would be supplementing and resubmitting the Application. Authority staff directed Jacobs to perform a fully corrected environmental analysis of potential impacts on the Ontario airport based on the issue raised by the FAA. Continue existing acoustical treatment program for single-family homes. As of March 31, 2009, owners of approximately 2,160 residential units had requested to participate in the acoustical treatment program. Acoustical treatment of 1554 units is completed. One hundred seventy two units are in construction, design and/or pending funding. Fifty two units within the current noise impact area for which owners have expressed interest in the program have excessive code violations. Expand residential acoustical treatment program to include all homes within 65 dB CNEL contour based on 2003 NEM was completed. Acquisition of avigation easements over land within the 65 + CNEL contour. As of March 31, 2009 a total of 1483 avigation easements had been acquired. Establish acoustical treatment program for schools and preschools not previously treated within 65 CNEL contour based on 2003 NEM was completed. Establish noise compatibility guidelines for the review of development projects within the 65 CNEL contour. Pursuant to its development agreement with the Authority, in the first quarter 2005 the City of Burbank amended its municipal code to require sound attenuation measures for all new residences within the 60db CNEL contour, including single family residences. The City of Los Angeles Noise Element also references Los Angeles municipal code sections calling for sound attenuation in construction to 45 db CNEL in any habitable room.